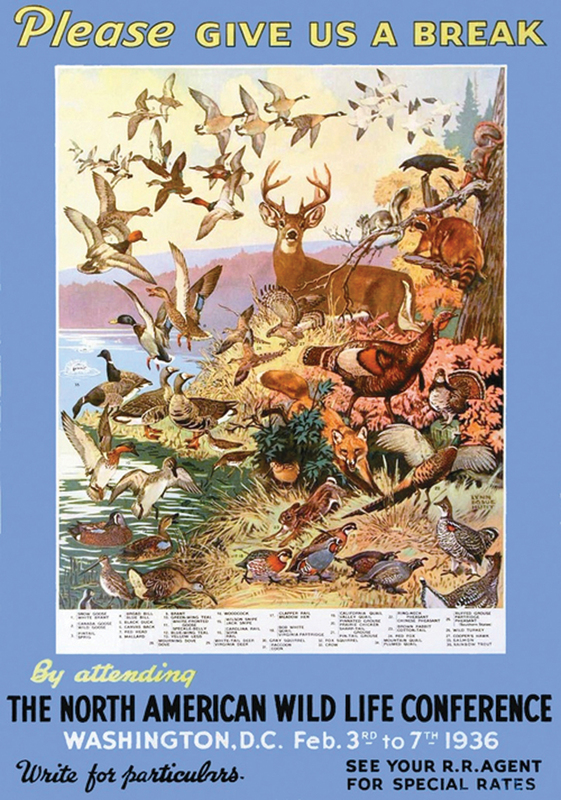 In 1936, this poster was used to encourage conservationists from around the country to come together for the sake of America’s wildlife. To encourage protection and restoration of waters, wildlife, forest, and field. To seek more intensive education of the public in recognizing resource conservation as vital to our way of life and its preservation. To replenish and renew a sound resources economy, but to always consider the economy of the State of Georgia and the well-being of the people therein. To cooperate with county, state, federal and private agencies of resources management to improve and to strengthen our basic resources and husband partnerships that encourage wise utilization. To recognize and promote hunting and fishing as essential tools of wildlife management and to stand firm on promoting the highest standards of outdoor ethics, strengthening farmer-sportsmen understanding, and presenting a positive image to landowners and the non-hunting public. To develop and constantly seek to improve a statewide long range program to stimulate and encourage greater public interest in resources. And to develop greater outdoor opportunities for all as essential to character-building and for the physical and spiritual welfare of people throughout the state. In 1936, over 200 conservationists from across our state gathered together at the Lanier Hotel in Macon because our wildlife was in jeopardy. Unregulated market hunting and the lack of a management plan had contributed to the near eradication of our native black bear, white-tailed deer, waterfowl, and a plethora of other species. Something had to change quickly. Recognizing this immediate need for change, under the leadership of Mr. D.D. Quillian of Athens, the Georgia Wildlife Federation (originally named the Georgia Wildlife League) formed. Hunters and anglers worked together not out of a love of political party or personal gain, but out of respect for our natural resources and a responsibility to manage and protect our land, water, and wildlife in a way that left them intact for future generations to enjoy. Great things happened through the forethought and activism of our founders and their peers across the nation. Federal funding was established through the Pittman-Robertson Act. State and federal hunting license revenues provided a constant stream of funding for wildlife management. Georgia, along with other states, created agencies to carry out strategic wildlife management plans. Today, our volunteers, members, board, and staff work diligently to continue the Federation’s legacy of conservation. We serve as a watchdog at the Capitol and alert the public through the Camo Coalition when legislation could affect our natural resources. We encourage families to get outdoors and provide opportunities to do so through Mill Creek Nature Center, the Alcovy Conservation Center, and Camp Charlie. We facilitate a way for hunters to share their bounty with those in need through the Georgia Hunters for the Hungry Program. What is on the horizon for GWF? Looking forward, we hope to join the fight to re-establish our lost longleaf pine communities in south Georgia. Because 93% of Georgia’s land is in private ownership, we hope to come alongside private landowners and provide advice on how to manage land to benefit wildlife and provide quality habitat for outdoor recreational pursuits. And, we will continue to fight for policies that maintain clean, abundant water sources for our citizens. To encourage the intelligent management of the life sustaining resources of the earth – its essential water resources – its protective forests and plant life – and its dependent wildlife – and to promote and encourage the knowledge and appreciation of these resources, their interrelationship and wise use, without which there can be little hope for a continuing abundant life. 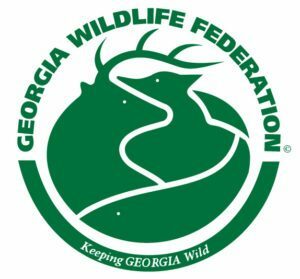 We would like to thank you for your continued support of Georgia Wildlife Federation. If you are not a member, please join today, and, together, we will continue to Keep Georgia Wild.